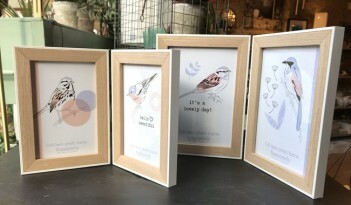 Simple Scandi style double photo frames with a matt white painted border and a natural wood inner. Could be slotted into many interior decoration styles and not look out of place. Portrait images only. No wall hangers on the back.